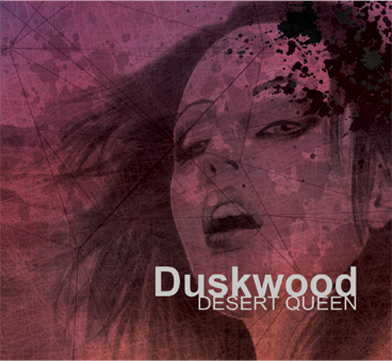 Bio | Duskwoood | New Album Desert Queen Out Now! With one vision of giving all round auditory pleasure to the listener, Duskwood bring a high energy, groovy live show that engages and inspires the audience. Formed in 2011, Duskwood have gigged all over the Southwest of the UK. It's definitely something you don't want to miss! The band's first EP 'Cavete Ursus' was released in 2013 and is now followed by 2016's full length debut 'Desert Queen'. Recorded in rural Somerset, Duskwood have crafted 10 tracks of blistering rock, snappy riffs and unique vocals, which is slated for a November release. With an influence on fantasy and real-life events, Desert Queen is sure to appeal to a wider audience of rock lovers.